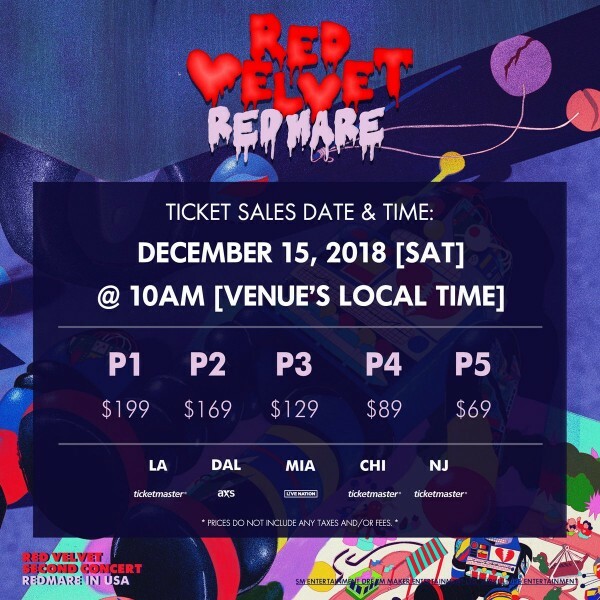 We're just 15 days away from the start of ticket sales for ​Red Velvet​'s upcoming concert tour in the US and ticket prices have been released! The ticket prices are the same for each city and there will be 5 tiers: P1 - P5. So far, it doesn't appear to be any extra benefits for buying a more expensive ticket, but given that it's rare for a girl group to come on tour in the States, a more expensive ticket might just be worth. See the breakdown above for the ticket prices and don't forget to mark your calendar for ​Saturday, December 15th​!